(noun): an organized group of people who work together to influence government decisions that relate to a particular industry, issue, etc. 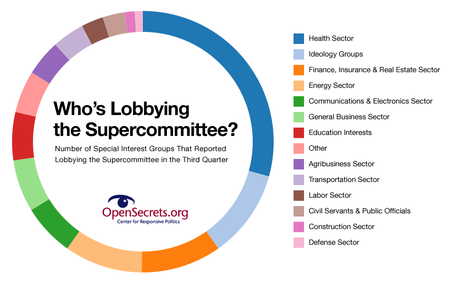 (verb) the act of lobbying, especially as representatives of a particular interest group. The Lobby means THE END OF CHOICE as a citizen of Free Planet (as it was intended by God, by Fate, by Sod's Law). What do we mean by 'the end of choice'? Well, there's lots of money to be made by The Lobby. But not for you, my friend. Not for you. The Lobby functions as a stand-alone privately-owned conglomerate-of-organisation that TELLS GOVERNMENTS WHAT'S BEST FOR US. These corporate hard-bodies petition governments so that you get the products they can MAKE THE MOST MONEY OFF OF. Not the products that might be the most useful for any given task, purpose or role. Just the one with the skimpiest bottom line and the highest return, FOR THEM. Isn't it funny that you've voted in your so-called 'elected leaders' to avoid royal dictatorships, and here's the most obvious one, operating within the Dark Corridors of your supposed Power House. Your Power Animal (your elected representative) is defenceless against this all-consuming invader. A swift and brutal coup de grace is the only way to save humanity from further rot. But, of course, you won't because your very Society is buried to the hilt in this concept of Corporate Lobbyists, Opinion Merchants and Education Mongers. Yours is a lost cause, humanity. Free Planet is a million light years from where it needs to be. Many of us will never even know that Free Planet once nearly existed.